I had a very positive visit with Lincoln Meadows. It was a very friendly atmosphere. The rooms were small like every place, and they didn't stand out. What stood out was the food service. It's way better than the majority of places. The food was very good and the variety was good as well. Their dining room is open from early in the morning until an hour after dinnertime. All day long you can go anytime you want, and you can go as many times as you want. Kc, we are so happy to read such a great review about Lincoln Meadows Senior Living! Thank you, and we hope you have a great day! Truly, I think our Father was happier the last two years of his life living at Lincoln Meadows than he had been for many years. Letting go of the household chores, meal preparation, housekeeping and laundry duties was such a mental and physical relief. At Lincoln Meadows, he was enveloped by a kind and nurturing new “family” who made him feel welcome, respected and beloved. Mentally, he was kept challenged and invigorated by the “Slices of History” classes and physically, he was kept well-nourished, safe and well-tended. The facility is beautiful and immaculately kept, but more important than the real estate’s physical features is the love and respect given to the residents. Thank you for providing such a wonderful environment! Reviews like this give us motivation and help us ensure we provide high-quality care. Thank you again for taking the time to let us know how we did. We hope you have a great day! I was very impressed with Lincoln Meadows Senior Living. It was a very modern community that had a couple of dining rooms, a library, a theater room, and a gym. It was very nice. The atmosphere was lively, and there were activities going on. All the residents looked pretty happy, enjoyed what they were doing, and were interactive with the staff which was nice. My father was at Lincoln Meadows for a few years. He was in Independent and Assisted Living. I think that Lincoln Meadows is one of the best places out there. It's clean, the staff is friendly and helpful, it's well run just an overall great place. I was always able to reach people for help and I found Mike, (Executive Director) terrific to work with. I've seen a lot of Independent and Assisted living places and this was a great choice for us. I highly recommend Lincoln Meadows. Lincoln Meadows is a beautiful facility with many amenities. They took us on a nice tour, and I saw the memory care section. A number of women and only one or two men there. The rooms at Lincoln Meadows were great. I like this community better. It was great. They have beautiful grounds. They have libraries at both ends, they have fireplaces, and they have a full theater. They have movie night every single nigth and each night was a different themed night; that was fantastic. They were able to get ground coffee and tea like a little coffee bar. Everything about it was amazing. They have puzzles set-up in the hallways. They have a rec room where they have a pool table and three card tables set-up to play different card games or board games. Honestly this would be my very first choice, it is close to my house. But it is 40 miles from where my dad lives, so it would remove him from the people that he knows. So for me, it was more convenient and awesome, but not for him and for other people to visit him. The staff at Lincoln Meadows was very friendly and welcoming, and the apartments were very nice. We like everything at Lincoln Meadows, and we actually put a deposit down. They have van that takes people to outdoor activities, and they have a lot different places that they take them. Looks like they go to the grocery stores, church, baseball games, movies, and they go to a lot of outside things. I think it is between 5 to 7 miles that they will take you to your doctor's appointment, and you just have to arrange it. They serve two meals. If you want them to cook your third meal, you can pay for it separately. The outside is very nice. It is still kind of new, so it has not a lot of shade trees or things like that. There are outside areas, but it is kind of in the sun because the trees are still growing. Lincoln Meadows is a nice and cheerful facility. Everyone was nice, and they seemed to know all the residents. They have good floor plans, and the grounds were nice. It looks like they had a nice Sunday brunch. Their activities include movie nights, speakers, event, and different things. My wife has Alzheimer's and she is in Lincoln Meadows. We interviewed a number of places and they seemed to be all acceptable, but unfortunately, managed care has limited facilities available. We pretty much had to take what was available and that was Lincoln Meadows. Also, it is close to where my daughter lives and to where I live, so it worked out well. She moved in during the first month of the year, so she has been there for about six or seven months. The facilities are absolutely clean. Their nurse coverage is very good. They take care of her very well. As handicapped as my wife is, they do a very good job with her. We certainly have no complaints at all with Lincoln Meadows. The number of staff is very good; however, there seems to be a fair amount of turnover. The turnover creates a little bit of a problem because you have to get familiar with the people again. With regards to her room, my wife has a very good room. It is very nice. It is all one open room. There is a nice bedroom area and a nice place for a couch and a sitting area. It has very nice bathroom -- all modern. It has a nice closet and very nice windows. The dining area is not as nice as the dining room in the assisted living and independent living areas. They tend to cook the food and bring it on trays into the dining area. They did, however, have a good selection. For the kind of people they're dealing with in there, the food appears to be adequate. My mother is on the waiting list of Lincoln Meadows and it is the place that we want her to move into. They had various types of rooms for both independent and assisted living, and then from a studio type up to a two bedroom; it all depends on what you've packed. I was very impressed with their staff. They were very nice people. They had a full work-out area, which they also used for rehabilitation if you've got a doctor's order for that, and a physical therapist that comes in. They had a beauty salon, a library, movies, computers, and a lot of different programs depending on the level of care that you need. As what I've seen from the places I've visited, this one was far superior to everything I would want and I can't find any fault with it right now. I paid a visit at Lincoln Meadows Senior Living. It was an overwhelming place that felt like an enormous hotel. The staff didn't seem genuine and there seemed to be little personal care. The facility was very clean and sterile like a hospital. The menu was too formal for a senior person. Lincoln Meadows is a relatively new facility in a great location, but not the most senior friendly. The facility has a very apartment or town home feeling to it, with nice balconies and porches which is great for enjoying the wonderful days in Colorado. One thing to keep in mind is which direction the balcony porch faces, as those that face North won't get much sunshine and those that face South will have constant sun coming in during the summer months especially. The rooms are really nice, and remind me of a nice long care stay hotel feeling while still having an at-home feel to it. My parents weren't particularly fond of some of the amenities as they thought it didn't quite feel inviting but rather more like a hotel which is funny since their motto is "This Feels Like Home". One of the nice things is the variety of floor plans that they provide. We saw a few of them including the small studio which would be great for the later years when only one parent is there. We also saw a couple of the 1 bedroom 1 bathroom options. These were pretty spacious and included a nice den area which provided a good escape area for reading a book. I would have rather seen the den off the bedroom though as I could see it being a little loud next to the living area where the tv is located since there is no door in between. Overall though, it is a nice community. Lincoln Meadows was nice. The lady who helped me was very nice and gave me copies of the floor plans that I liked. It was a good tour. I liked the location. The dining area seemed adequate. They had an art room and a place where they played games and cards. There was an exercise area that looked nice. The place was clean and in good condition and shape. People looked friendly. All of the staff members at Lincoln Meadows Senior Living were wonderful, down to the lady who did my aunt's hair in the salon. The place was wonderful. The only reason we moved my aunt out was because their memory care was more hospital-like. Their independent and assisted living parts were excellent, like living in a hotel. The food for the holidays was second to none, and they always had the place decorated beautifully. I visited Lincoln Meadows. The rooms were adequate but small. The staff was very helpful. The facility wasn't as nice as others. I live in Lincoln Meadows. It is nice. The rooms are clean. I get three meals a day. I enjoy participating in activities like Bible study, card games and art class. There is a beauty shop, exercise salon, laundry, a walking path around the building, and a bus that takes us to different stores and doctors' appointments. The staff is very helpful, very nice, and do everything they can to make things comfortable for us. When I am not feeling well, they send the food to my room. However, it is too expensive. We chose Lincoln Meadows for my parents to move into for a couple of months. It is nice and close to where I live. The staff is beautiful. The room is very nice, spacious, and clean. We have eaten there, took the tour, and participated in one of the activities called the metal race. There are just not a lot of African Americans, so some of the residents there may look at you funny, but other than that, they will not disrespect you or anything like that. We are staying in the independent living side of Lincoln Meadows. The apartment is very nice, of adequate size, and very well done. The cabinets are like new. The carpeting and everything is clean. The services are excellent. They are offering a lot of activities that are very good. I am currently in Lincoln Meadows. They have outdoor activities like community walks every other day or every week or so, and they provide transportation to supermarkets. We also have indoor activities such as watching movies in the theater, bingo, and card games. They have an exercise room, and the exercises are scheduled on a regular basis. There is also a bible study that just started up. We are very pleased with it. There is very good food, the companionship is good, and the atmosphere is friendly. The staff was excellent at Lincoln Meadows. Unfortunately, there was a mix up with the coordinator that we had scheduled an appointment with, so the rest of the staff just immediately pulled together, and we were actually given a tour by the head chef. He brought us through, and I got to tell you, walking through with him was like walking through with a celebrity. We got stopped by the resident who just had to compliment chef on his outstanding meals and special events, so it really made the tour much more enjoyable for me and my husband. The guy’s a rock star. It was incredible. He was outstanding. The place definitely had a sense of community, and that was what set it apart from other places. The people are nice at Lincoln Meadows Senior Living. The facility is very clean and they promised her that she will have a lovely apartment and they try to do everything she asked them to do. The only one complaint she has is the food and everybody complains about that. They do have activities for the residents all the time although mom doesn’t partake in them. We chose Lincoln Meadows for my parents because of its location, amenities, and it is something both of them feel comfortable with. They are now getting ready to move in. It is beautiful, well-kept, clean, and the floor plans are nice. They room's floor plans are also great. The two-bedrooms are spacious, with big bathrooms and a great kitchen. We ate there, and the food is very good. The dining area is set up nicely, and the courses are nice. There are a lot of activities, and it seems like there's a lot of people out and about in the facility. Everybody that we talked to really loves it. I have extensive knowledge about Lincoln Meadows, as I had both of my parents live in Independent Living and then one eventually move to memory care. That was over three years ago. The facility is gorgeous, clean and with rooms that vary from a small studio to large two bedroom/two bath units. The food is excellent with many options. The staff are caring and friendly. 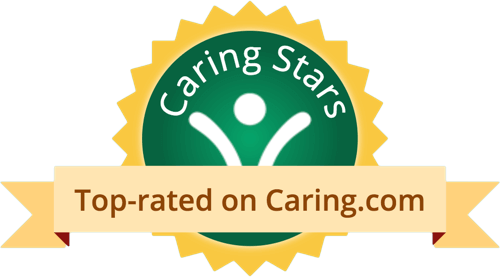 The Memory Care unit is well-staffed to give a nice caregiver/client ratio. I do wish there was less turnover in that department, however. The staff are loving and patient and learn the resident's needs very well. They are great at organizing activities to keep the resident's busy. I am very happy with Lincoln Meadows! 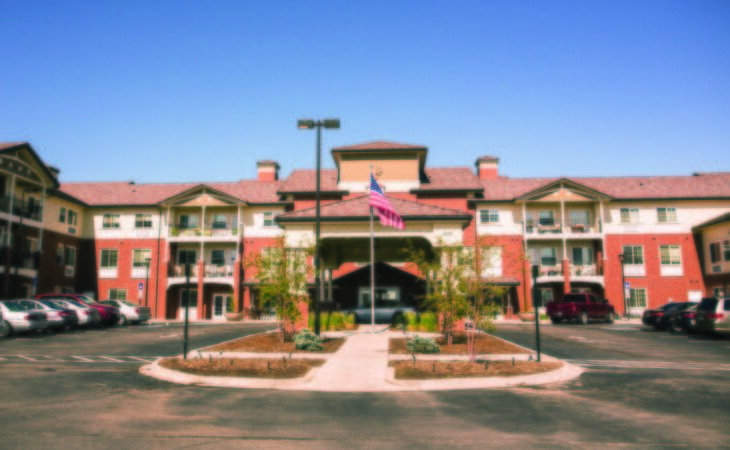 Lincoln Meadows provides premium independent living, assisted living, transitional memory care and memory care in Parker, Colorado. Our community delivers affordable luxury with At Your Service℠ hospitality and concierge services. That means we can help you through the transition to our community with packing and estate services, moving company referrals and more. Once you've moved in, we can help with errands, transportation-everything you need to get the most out of living at Lincoln Meadows. Think of Lincoln Meadows Senior Living as a hotel operated by a staff of caring family members. From specialized transportation options to personal shopping, all you have to do is pick up the phone or stop by our reception / concierge desk and we'll be At Your Service℠! What should caregivers and potential residents know about Lincoln Meadows Senior Living?